Watch out Yelp. Despite the fact that reviews and “check-ins” were the services that gave Foursquare it’s claim to fame, the company recently announced that they’re expanding their services to make big waves in the local search world too.With the launch of the all-new Foursquare Explore, it turns out Foursquare has been gradually changing from a “check-in” service centered around customer reviews to a search engine for local hot spots, and a successful one at that. According to the people at Foursquare, they’re aiming to, as they put it, “reinvent local search for everyone.” With an improved app, new features, and a following 25 million strong, it seems like they’re setting themselves up to really do just that. Foursquare is quickly becoming more and more capable of understanding—and serving—its users’ needs. Foursquare is now able to offer search results and recommendations based on past user behavior, and thanks to the help of information based your Facebook friends and where they’re heading today or where they headed to last night, Foursquare is becoming more personalized than ever. 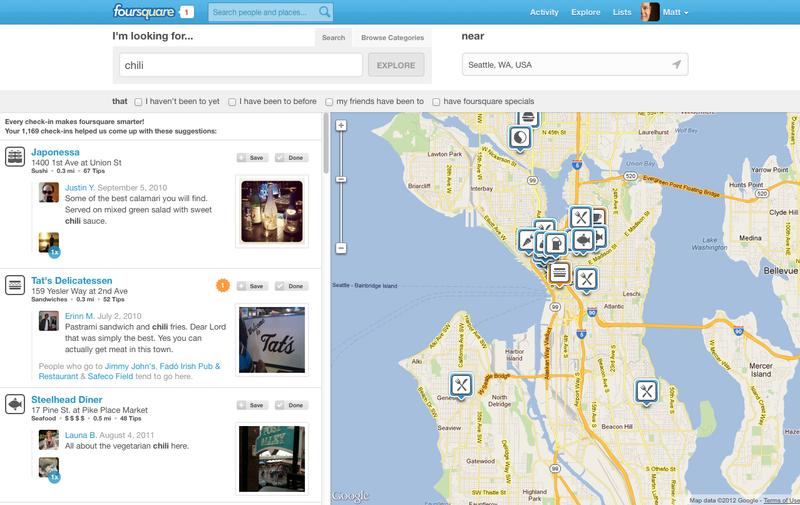 And you don’t have to be a registered Foursquare member for you to start seeing some these changes. Non-registered users still get to reap the benefits of search results and recommendations based on reviews of what’s most popular in a given area, what’s trending, where “experts” have checked-in recently, and more. And although Google still remains the supreme-being of the search engine world, it seems the power of Foursquare as a fusion of review and local search is having an impact—leading sites like Google to start looking into potential ways to add reviews and check-in options to their sites too.